This month has been productivity central at Ruzuku, with a strong emphasis on your ability to focus. We’ve scoured the internet for some of the best tools and tips for focus and productivity. And we’ve pulled back the curtain to give you a peek at the systems and routines that make our team tick. So what better way to round out our month of productivity than to take it back to the community, to see what tools you’re using to simplify your course creation. This month we talked to Marlene Hielema, who told us that Pomodoro really helps her focus and get her week started right. Pomodoro? Doesn’t that mean tomato?! And yes — “pomodoro” is the Italian word for tomato. The technique got its name from the tomato-shaped timer that Cirillo used during those first sessions. 25 minutes of work followed by a 5 minute break, repeated 4 times before taking a longer (usually 30 minute) break. If Marlene is having trouble getting started, especially with writing, she’ll use the Pomodoro technique for 3 or 4 sessions in a row. She typically does most of her video script writing on Monday and Tuesday (for her Friday video release), and finds that it’s a very productive way to start her week. Since Marlene is seeing such great results from using Pomodoro, we wanted to explore more ways that you can use the technique to simplify your course creation process. Let’s dig in to how you can work with time — and how to turn those distractions into a tiny blip on the screen instead of a total productivity-crusher. A note as we begin — eliminating distractions and focusing on one single task may not come easy, so our best advice is to just start. Even if what you create isn’t perfect, you’re still building momentum and setting the tone for the rest of your day. You might find it helpful to find a quiet place to work and let everyone around you know that you need to focus. 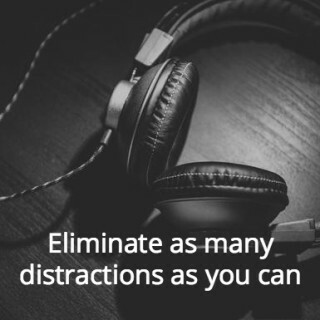 Then, put on some noise-cancelling headphones, set your phone to airplane mode, get out your pen and paper to write down anything off topic that comes up during your session… and get started! It’s helpful to have an outline of what you’re going to create — or maybe creating an outline is what you’ll do during your first Pomodoro. One of the most important things that you can do at the very beginning of this process is to break your course down into small sections. You may already have your course material separated into modules and lessons. To get yourself ready for your first Pomodoro, you’ll want to decide what tasks stand between you and being done with the lesson — do you need to write the introduction? Do you have a certain number of points that will be covered? Or maybe you just need to write up the lesson closing. When you’ve decided what tasks you need to accomplish, you’ll want to estimate how long each of the tasks will take, and decide how many Pomodoros you’ll need in order to finish them. 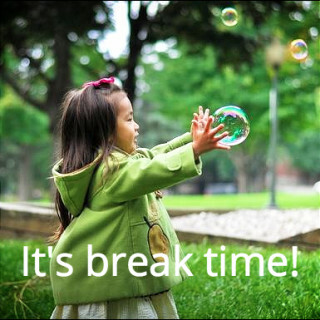 As you’re deciding on your schedule for the session, don’t forget to include time for your breaks! “I promise that I will spend the next 25 minutes on the task at hand. I will not let myself get distracted. Having a pen and a piece of paper next to you will help you stick to the “no distractions” rule. If you find yourself thinking “oh I need to…” just write it down and keep working on your current task. You can come back to the thought or to do what you realized later, after you finish your Pomodoro sessions. 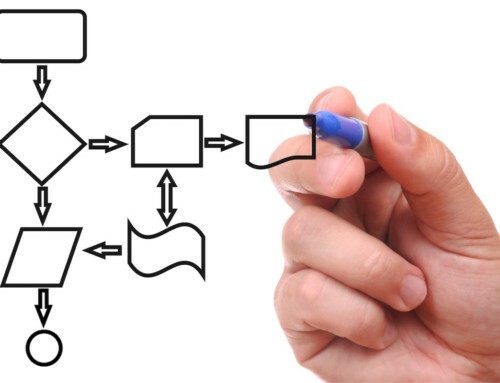 The rest of this step is easy-peasy: just work on your course! 25 minutes. Set your timer, and begin. You can do it! Pat yourself on the back — you did it! Your first session may not have been perfect, but you made it to the end. For now, step away from what you’re working on. Leave the computer, your phone, and any other electronics at your work station. You can spend the next five minutes on anything that’s not work related. Ideally you’ll want to do something that gets your blood pumping and your eyes focused on something far away. Take a short walk, spend a couple of minutes focused on your breathing or do a quick meditation, play with your dog (or cat), grab a cup of tea — your brain (and eyes) will thank you for the break. This last break is one of the most important parts of your Pomodoro sessions. Taking a break of at least 20 to 30 minutes allows your brain to process all of the new information that you’ve put into it, and gives you a chance to mentally rest before you get back to work. This step is the key to avoiding fatigue after a long day of focus, and will help you stay mentally sharp for whatever is next. But I don’t have a tomato timer! As you might imagine, there are a ton of Pomodoro apps available. As we were researching this post, we kept finding more and more (and more) apps — the list itself could have made up an entire blog post! Rather than overwhelm you with a million to choose between, we broke down that list into a handful of options for you. Pick one, and see how it works for you. You can always change timers later, once you know if the technique works for you. The Pomodoro technique is meant to help you boost your productive time — not beat you down and make you feel like a failure. It’s there to help you focus, and also to remind you to step away and give your mind and body a break. And, if you think that a tweak here or there will help you use the system better, experiment! There are quite a few mentions online about people pairing David Allen’s “Getting Things Done” with the Pomodoro technique. The most important thing to remember as you’re figuring out what makes your work day productive is to find what works for you. Just because something works for someone else doesn’t mean it’s going to be a good match for you. Now over to you: does the Pomodoro method sound like something you want to try as you’re creating your next course? If so, let us know in the comments. Or, if another system works better for you, we’d love to hear about it — we’re all about figuring out what works best for our community. I love using my Pomodoro app. It’s a good motivator too. I just tell myself, “Give it a go for one or two (25min) sessions” and voila, I’m usually well on my way after that. Thanks so much, Marlene. It was fun exploring Pomodoro in the context of course creation based on your recommendation!